I booked my trip to Budapest with very few expectations. 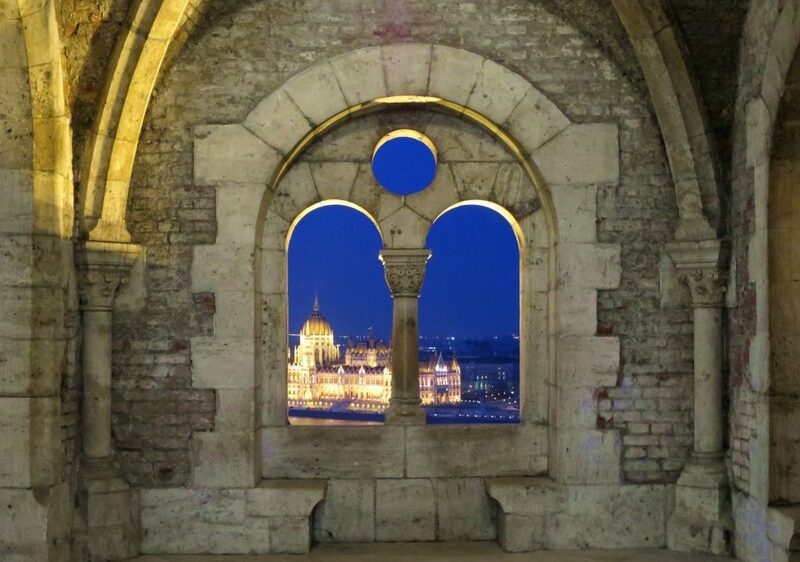 I actually spotted a cheap “Groupon Getaways” deal and fell in love with the photo of Budapest. From that one photo alone, I decided that I HAD to go. While I didn’t book through Groupon, I used the same hotel that they were offering and had the most amazing experience. Sitting on the steps of Fisherman’s Bastion overlooking the Danube/parliament building while the sun sets was one of my favourite moments of the entire trip. The city as a whole is beautiful and this is the perfect viewing point – at sunset particularly! 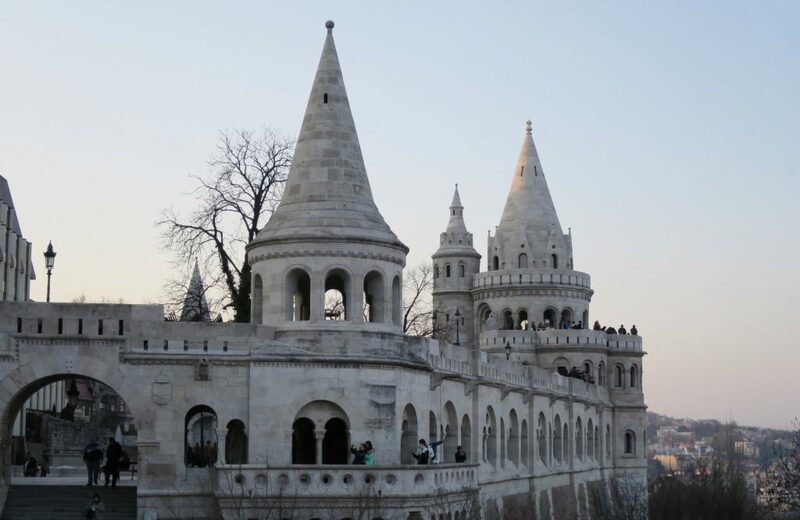 While it’s an amazing place for viewing the rest of the beautiful city, Fisherman’s Bastion itself is a gorgeous white fortification that is worth exploring. There are a few cordoned off areas that you need to pay to enter – don’t bother! The views from the rest of the area meant that we didn’t feel it was necessary. 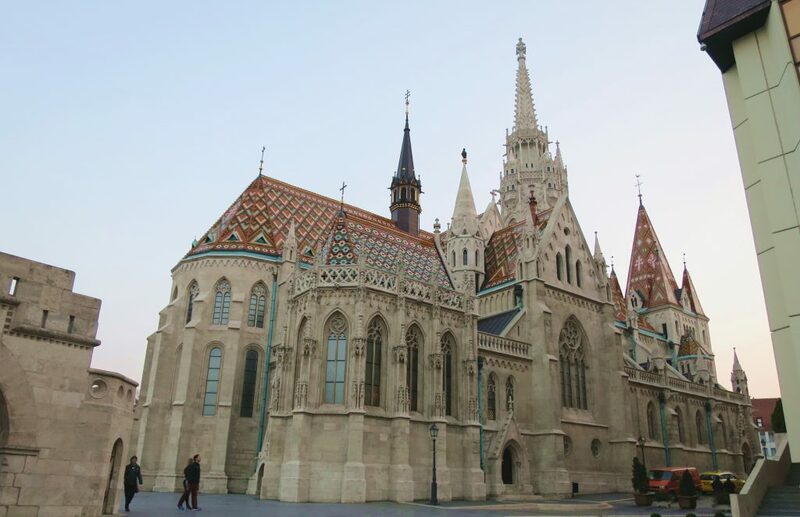 2) Admire the Beautiful Tiled Roof of the Matthias Church! 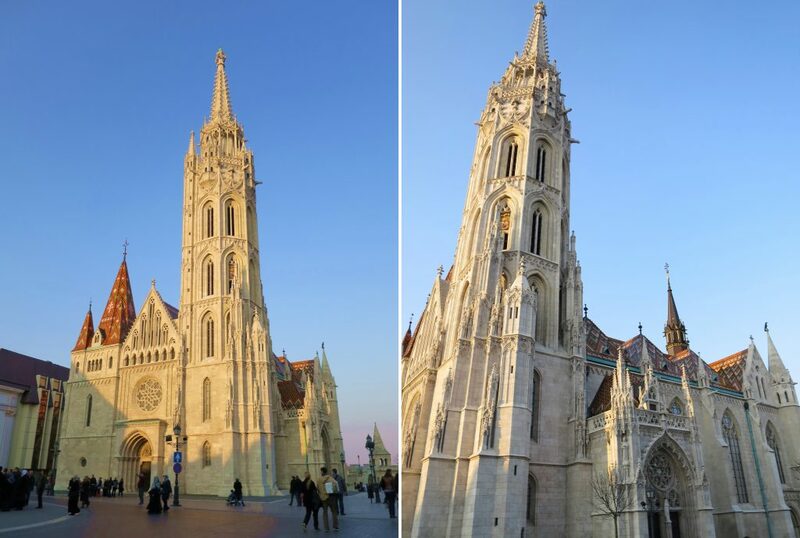 While you’re exploring Fisherman’s Bastion, you will stumble across Matthias Church (it’s pretty hard to miss). You’ve probably already seen photos of this church a million times before. That brightly coloured tiled roof is iconic after all. We just missed the closing time, so I don’t know what it looks like inside – but if it’s anything like the rest of the architecture in Budapest, you’rein for a treat! I never thought that I would be including a hotel within my “Top 10 Things To Do” within a city but honestly, I can’t recommend this hotel enough. Located in the city centre, you’d expect high prices and lacklustre service but this couldn’t be further from the truth. I haven’t seen this hotel listed on any booking websites and only managed to find it because of a Groupon deal, so I feel like I’m letting you into a little secret. Four of us stayed in a “2 room apartment” and it was HUGE (as well as beautiful, clean and filled with all the amenities you could ever need). The grand total for 3 nights in March was EUR 108 (between four of us, this was a measly EUR 27 each). This included a free transfer from the airport on our arrival, assistance in booking activities, maps, free Wi-Fi and free coffee. I could honestly write about this hotel for hours, but I’ll leave you with a link to the Trip Advisor page so you can see just how much everyone else loves it too. Bookings can be made here. 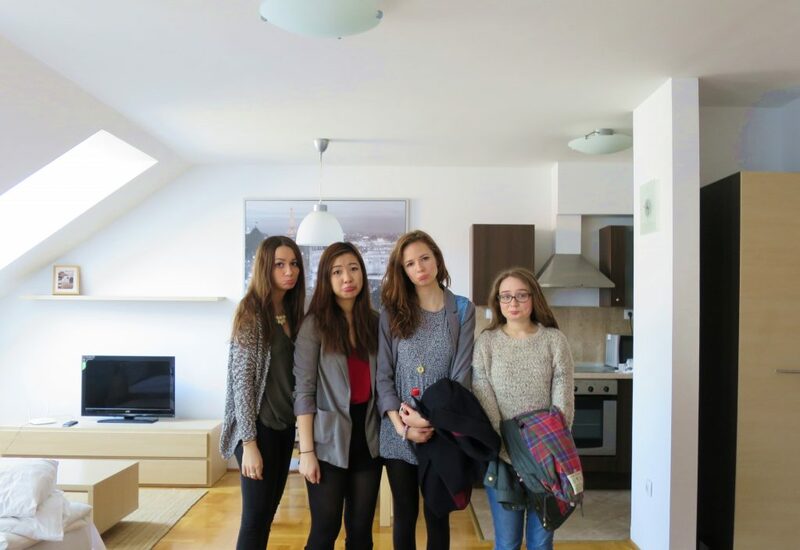 That picture shows our sad faces when we were made to leave our gorgeous apartment! 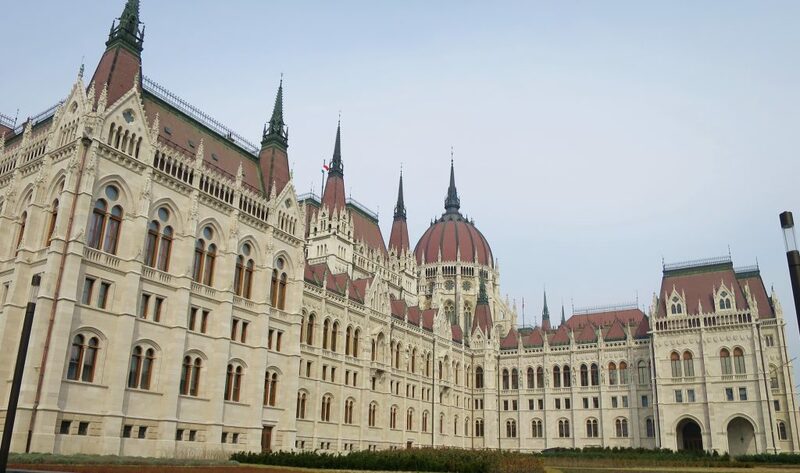 You will without a doubt have seen the incredible Parliament building in photos, however I haven’t ever stumbled across photos of the inside. Luckily, guided tours are available and are definitely worth it. Tours run in multiple languages and at various times throughout the day. The only downside is that you have to pre-book online (we didn’t realise this but luckily our amazing reception desk at the hotel printed the tickets for us!). Prices vary depending on whether you are from the EU, a student, an adult or a child, but I’d say that the tour is very reasonable. It cost us around 5 GBP which when compared to the British parliament tour in London which costs 25 GBP and isn’t as impressive of a building, I was very happy to pay this cost! 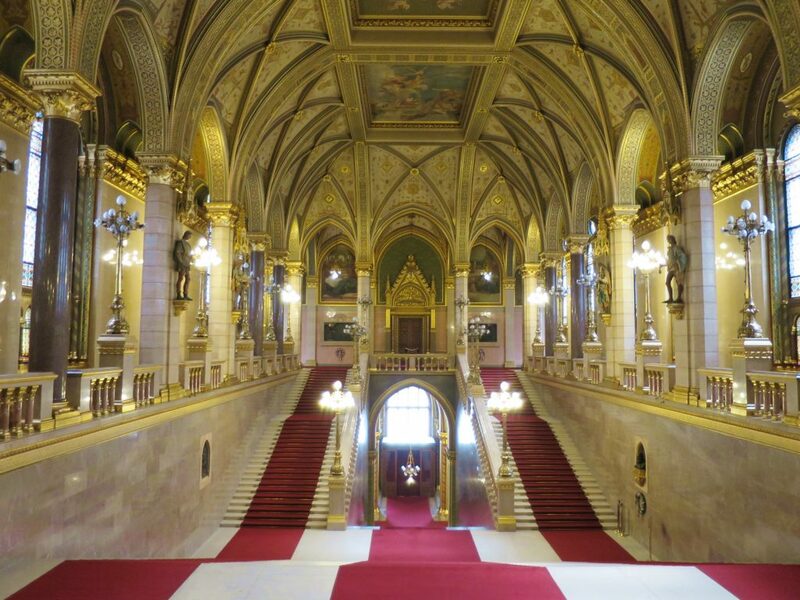 Central Budapest is fairly compact and won’t take you too long to cover the areas that you want to see, I’d therefore definitely recommend taking the time to have someone else show you around and explain the history. 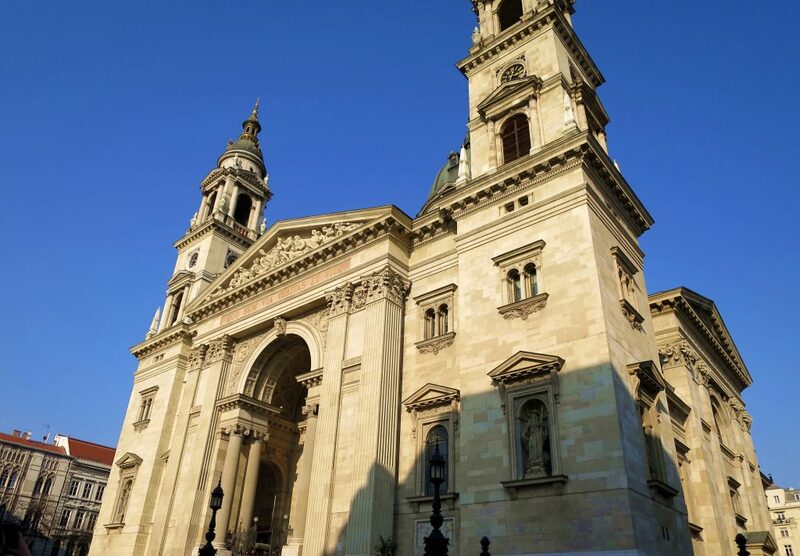 Budapest is so rich in interesting history that it would be a shame not to learn about it. We did this tour on our first morning in the city and it was a great way to get your bearings and decide where we wanted to visit in more detail during the rest of our trip.We took to TripAdvisor and decided to give three hours of our day to this tour – big shout out to Bridget who was the loveliest tour guide! They also hand out a VERY useful tourist map that highlights all the must-see areas of the city – this practically became the holy bible of our trip! 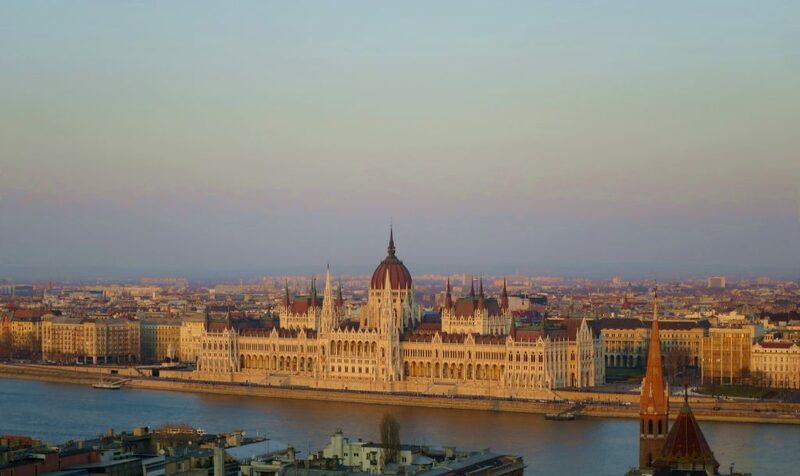 Budapest is dubbed the “city of baths” and rightly so as there are SO many baths to choose from. Hungary is a land of thermal springs and Budapest is the only capital city in the whole entire world that is rich in healing thermal waters. 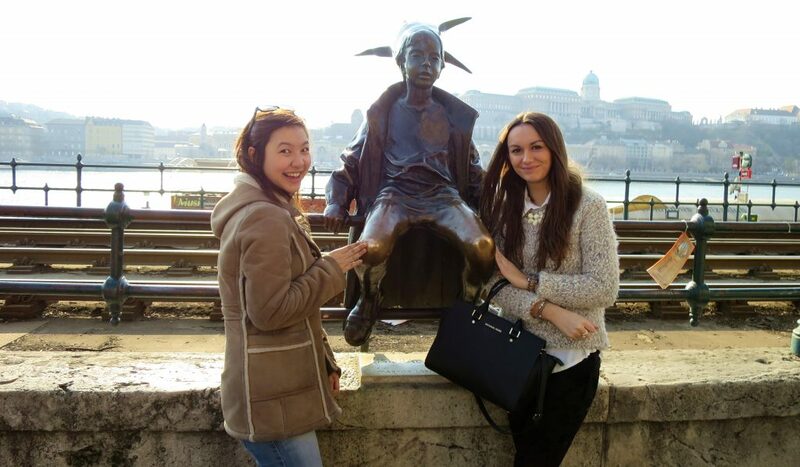 The two more famous baths are Széchenyi and Gellért – we chose to visit the latter, however if we had more time in the city, it would have been great to visit both! Széchenyi has a large outdoor pool area that would have been great in the summer, however we were visiting in March and we were won-over by the elegant Art-Nouveau interiors of the Gellért. We had done some SERIOUS exploring of the city and were very very tired by this stage, so a morning in a spa was very welcome! We even took advantage of the full body massage on offer (oops!). The waters are apparently meant to be “healing” and while I was dubious, I can confirm that they definitely healed a particularly bad knot in my leg! 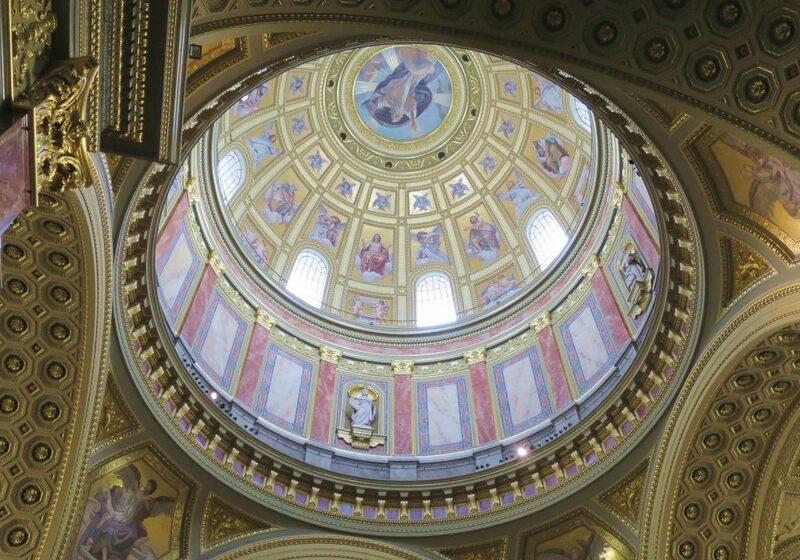 There is one word for this inside of this Basilica – “wow”. Having visited many churches and cathedrals across Europe, I think that this is one of my favourites. The inside is simply beautiful and shouldn’t be missed. We visited early on a Sunday morning and many people were starting to arrive for their Sunday mass as we were leaving, it’s lovely to see it still in use and see the locals going about their daily routines. I’ve heard a lot of people shun this memorial as being “boring”. It’s true, there are very few signs that tell you the importance of this memorial, so many people may walk away without understanding. However, if you do your research into the history, it’s one of the more horrific stories that Budapest has to offer and therefore I find the memorial very harrowing. 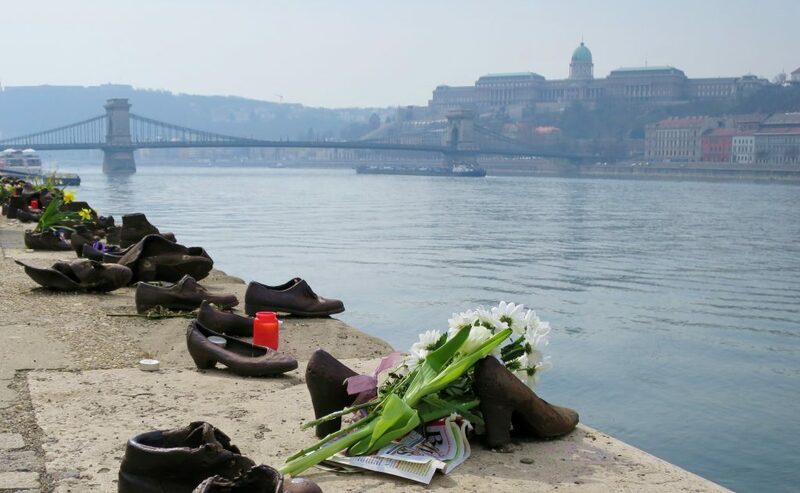 In brief, the shoes honour the Jews who were killed in Budapest during World War II. The victims were ordered to take off their shoes and were shot at the edge of the water so that their bodies fell into the river and were carried away creating a blood-stained river. Located just behind the parliament building, I would recommend a quick visit. 9) Enjoy the Cheap Food and Drink! 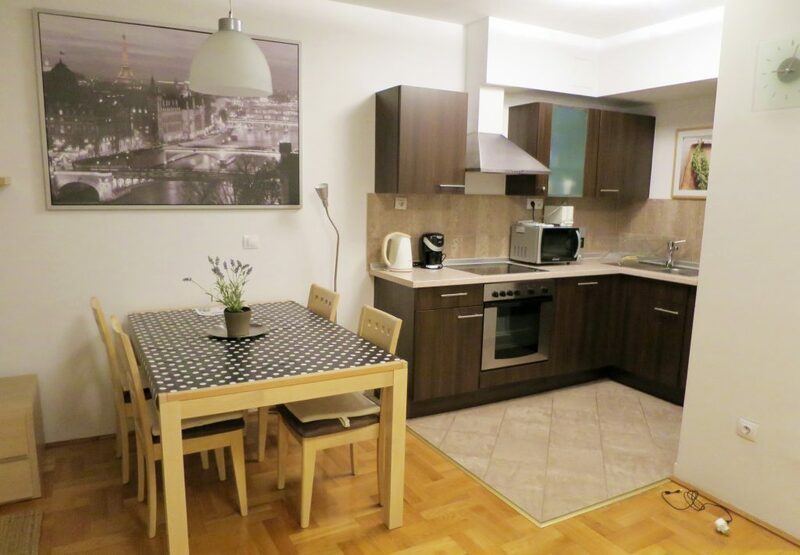 Budapest is known for being a very cheap city – especially for a European capital. Hungary is also well known for producing good quality wine. Hey presto, you have got yourself an amazing meal with beautiful wine at a very cheap price. I’d recommend wandering outside of the city centre to get the best deals. We were lucky as there were many lovely places to eat located by our apartment, so it wasn’t too far to roll home with a full stomach! 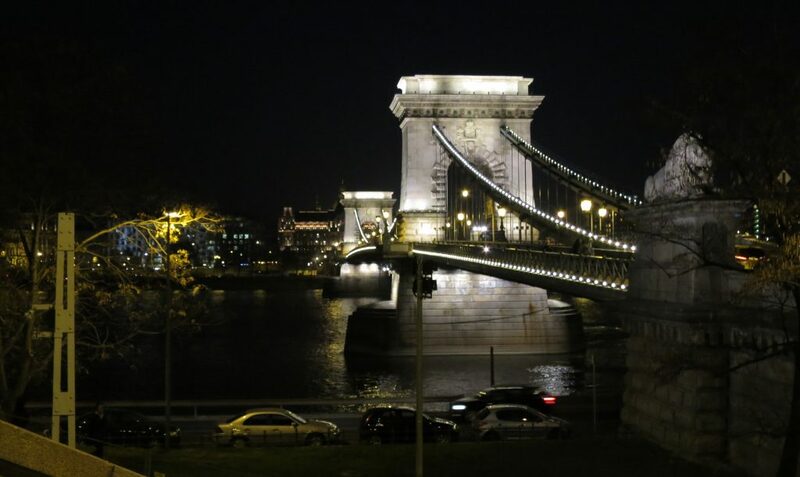 Without a doubt, Budapest is a beautiful city and Chain Bridge is a great place to see the city and take it all in. 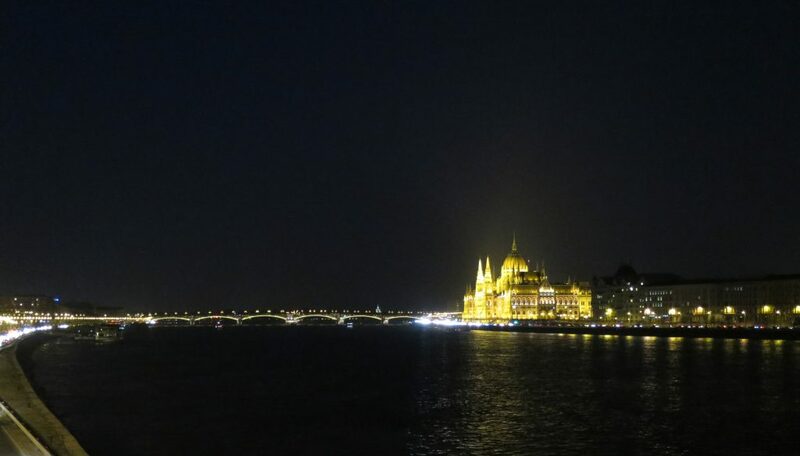 Budapest is particularly beautiful at night time when everything is lit up and “twinkly”. If it’s a good enough location for Katy Perry’s Firework video, then it’s good enough for me! 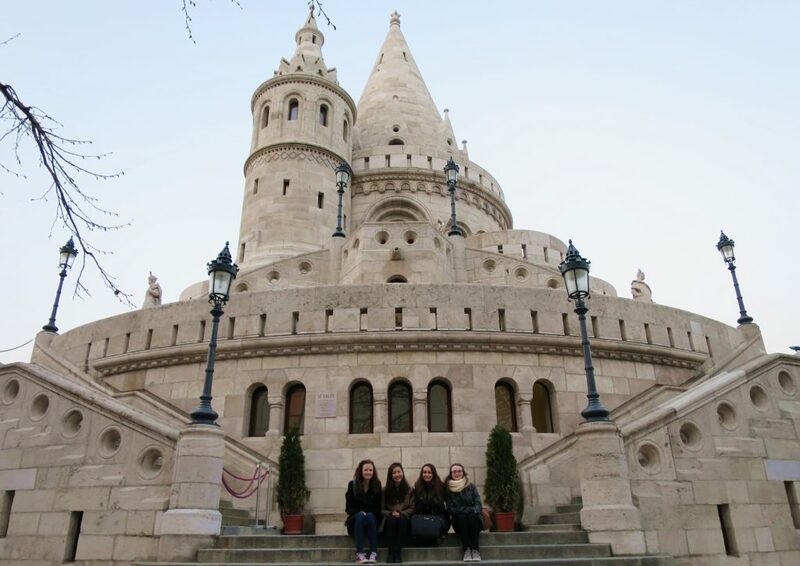 It was while strolling across the bridge on our way back from watching the sunset at Fisherman’s Bastion that one of my friends randomly said “I think this is my favourite day ever” – this sums up how much we loved Budapest! I won’t lie, Andrassy Street is LONG and will be a trek if you’re already tired from a day of walking and touring the city. 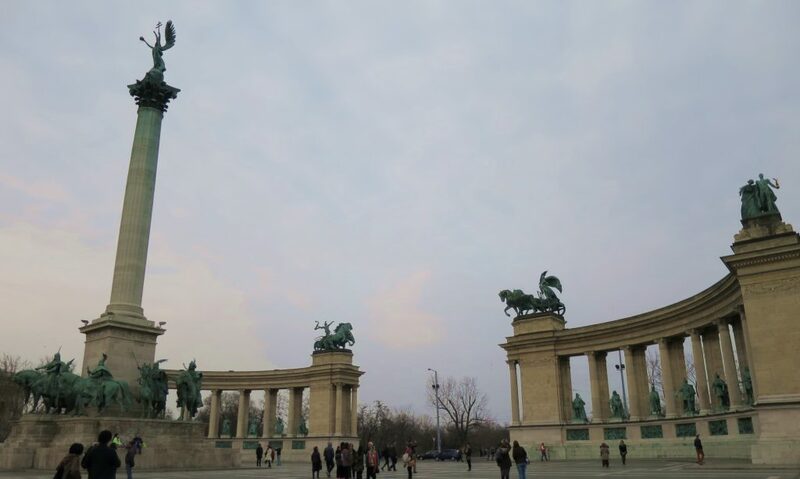 At the end of Andrassy Street is hero’s square, Széchenyi Baths and Vajdahunyad Castle, so you are likely to walk down this way at some point! 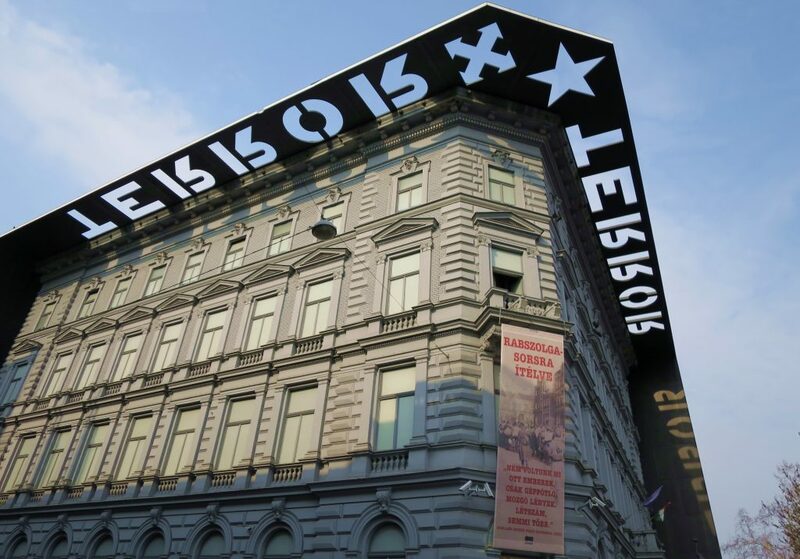 On the way, I would recommend stopping at the House of Terror. Pictures aren’t allowed inside, but it is a really harrowing experience and is a must-see for any history-buffs! At the end of Andrassy Street is Hero’s Square, a huge memorial to Seven Chieftains of the Magyars and other important national leaders. I’d love to get here really early to avoid the crowds and get a great photo! 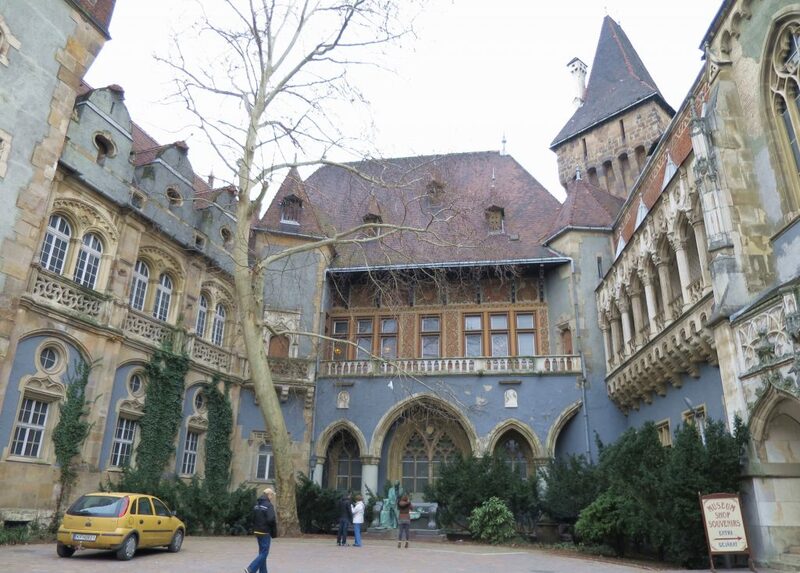 Opposite Hero’s Square is the gorgeous Vajdahunyad Castle, this beautiful area in City Park is definitely worth exploring. If you visit at the right time of year, you can go ice-skating here too! 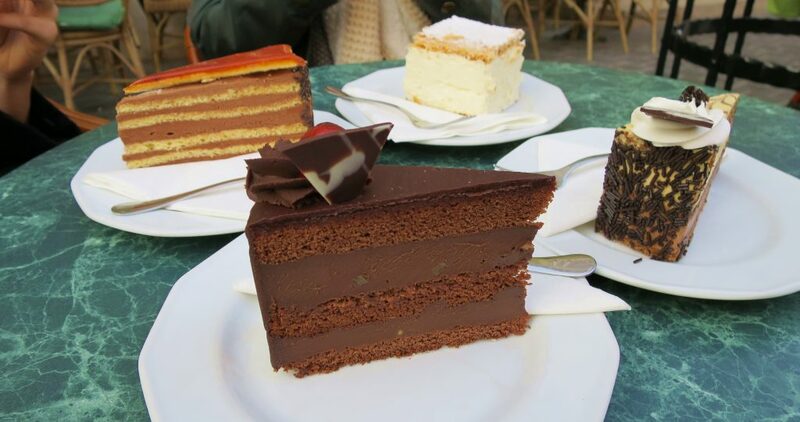 14) Eat in Hungary’s Oldest Cake Shop! 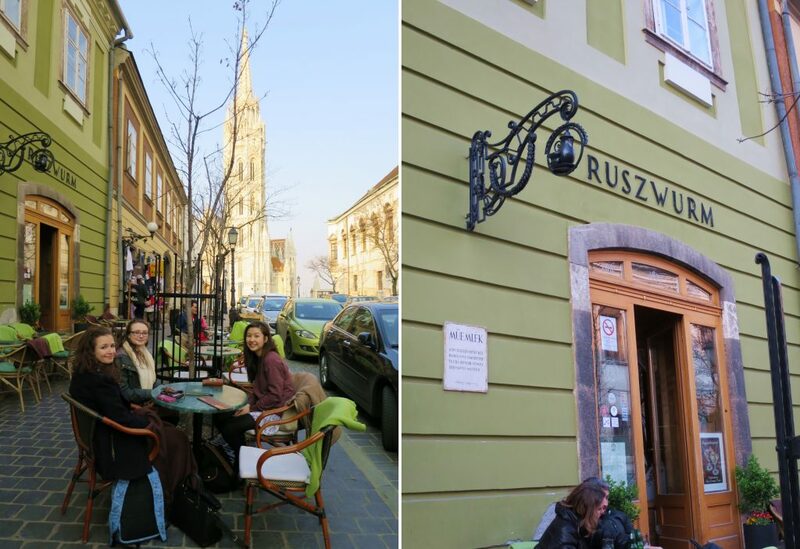 Ruszwurm is apparently Hungary’s oldest cake shop and given the 200 year history, they’ve had a lot of time to practice their baking and it is definitely worth your pennies (or Hungarian Forint… whatever…). Be prepared for long waits in peak time. We managed to get a table outside for a gorgeous view of Mathias Church and Fisherman’s Bastion! I think from the amount I have rambled on this post, you can see that I LOVE this city. 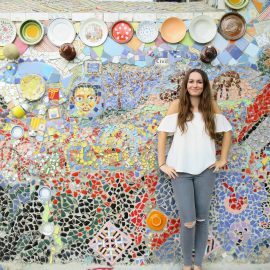 Let me know if any of you have fallen in love with this beautiful city as much as I did! 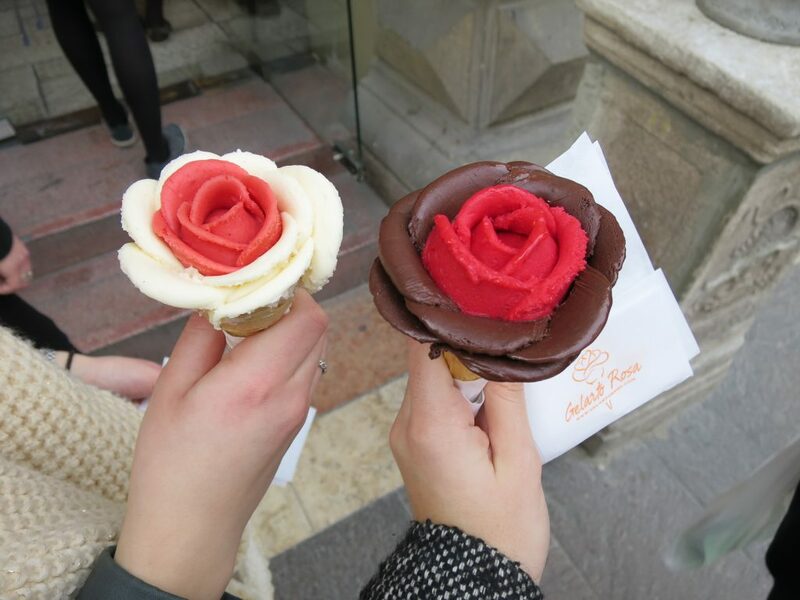 Great list of things to do in Budapest. I’ve been once and was surprised by it’s beauty and how many sights there were to see. Still plenty to do and are contemplating a trip back for at least a week when i’m next in Europe!